For those who believe carbon pricing is urgently needed to fight climate change, Canada will be one of the world’s most important battlegrounds in 2019. More than that, the campaign will serve as a case study about carbon taxation’s political viability, sure to be noticed by politicians elsewhere considering similar measures. Even if his shine may be wearing off at home, Mr. Trudeau is still seen by liberals through much of the world as a political star. If Andrew Scheer’s Conservatives drive him from office after one term, with carbon-tax opposition playing a major role, he could join the likes of France’s Emmanuel Macron as a cautionary tale about even the most skilled politicians not being able to sell this sort of policy. Conversely, if the Liberals win another majority government, it will allow carbon-pricing advocates elsewhere to push back against arguments that it’s politically toxic. And some of them, not least U.S. Democrats who will be participating in primaries shortly after Canada’s election, will closely study Mr. Trudeau’s implementation and communication, with an eye to what they can borrow. Heading into the year, it’s possible to get a sense of some of the open questions that will yet determine how this story plays out here – many of them up to the competing parties to answer, in the months ahead. HOW MUCH WILL THE PARTIES ACTUALLY CAMPAIGN ON THIS ISSUE? At this point, both leading federal parties seem to think the carbon-pricing debate is a winner for them. There is a view in Mr. Trudeau’s camp that many Canadians will respect him for taking a principled risk, and disqualify Mr. Scheer for his comparative unwillingness to take seriously an existential environmental challenge; the Liberals particularly hope it will help mobilize younger voters, key to their 2015 electoral success. The Conservatives believe they’ll be able to cast it as nothing more than a tax grab; they say their research shows their target voters prioritize economic and affordability concerns over the environment. It’s possible both parties will maintain that confidence. It’s equally possible one of them will decide it’s a political loser, and try to change the channel. Especially in provinces (Quebec and British Columbia, among others) where Ottawa won’t collect the tax due to systems already in place, it could also easily become just one piece of a broader cost-of-living debate. Carbon pricing may be the biggest policy rift between the parties, but that doesn’t necessarily mean it’ll be top of mind come October. CAN THE LIBERALS DRAW ENOUGH ATTENTION TO THEIR REBATES? Prime Minister Justin Trudeau, right, is shown in 2015 with Stéphane Dion, then newly sworn in as his Foreign Affairs Minister. As Liberal leader in 2008, Mr. Dion ran for election promising aggressive measures to cut Canada's emissions. Key to the Liberals’ hopes for avoiding the same fate as when Stéphane Dion campaigned on a carbon tax back in 2008 is their assurance that it won’t take money out of Canadians’ pockets. Almost all revenues, they promise, will be returned to families and individuals in the provinces they were collected – and because those revenues also come from businesses, most people will see a net gain. It’s a model that strikes some carbon-pricing advocates as so foolproof, it’s already being cited internationally as a way to avoid backlash. But a potential catch is how the money will be returned. While voters could think about the new tax every time they pay for fuel – especially in Ontario, where Doug Ford’s government has mused about serving reminder through stickers on gas pumps – the rebates will be distributed through annual tax returns. So the returned revenue could go all but unnoticed among other calculations. That’s going to place a premium on communication around tax season. Voters in provinces where Ottawa will be collecting and returning money can expect lots of advertising drawing attention to the rebate. WILL THE CONSERVATIVES’ PLAN GIVE THEM COVER? 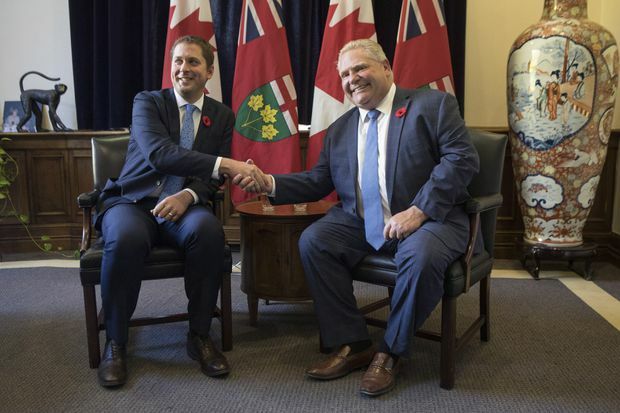 Ontario Premier Doug Ford, right, meets with Mr. Scheer at Queen's Park. To date, the Liberals have been able to accuse the Conservatives of having no policy to reduce emissions. It’s unlikely the governing party’s rhetoric will change much after the Tories release a plan closer to the election. While Mr. Scheer has said his approach will be “comprehensive,” he has made clear it won’t include carbon pricing. It may be in the same vein as Mr. Ford’s, which includes scaled-back emissions-reductions targets, and fairly modest commitments to industrial regulation and clean-technology funding. How it lands will test the way Canadians currently see climate-change policy. If many target voters expect parties to be ambitious with their policies, the Conservatives will likely have a problem. If most people just want to know they’re not climate-change deniers, any plan at all could suffice. CAN THE LIBERALS GET THEIR TONE RIGHT? Mr. Trudeau speaks during a Liberal fundraising event in Kingston. 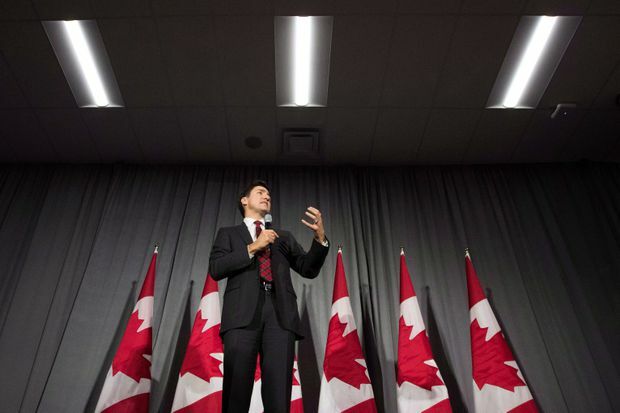 Whenever he accuses the Conservative plan of being insufficient, Mr. Trudeau will face a delicate balancing act. His aim will be to present the lack of a serious emissions-reduction strategy as proof of unfitness for office, as the world runs out of time to stop climate change’s impacts. But if he goes too far scorning anyone who doesn’t view it as a top priority, he risks offending voters struggling to make ends meet and worried about the tax’s impact. CAN THE NDP (OR GREENS) CONVINCE VOTERS THE LIBERALS AREN’T DOING ENOUGH? The level of taxation the Liberals have chosen may not be enough to meet the Paris Agreement commitment to reduce emissions to 30 per cent below 2005 levels by 2030. And Canada is certainly not on pace to achieve much greater reductions that the United Nations’ climate change panel says are needed to avert environmental catastrophe. The Conservatives will make that point, but it could be made more effectively by parties that want to do more rather than less. 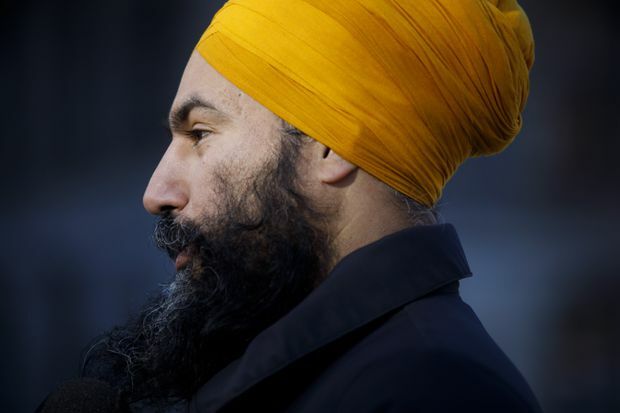 Jagmeet Singh’s New Democrats and Elizabeth May’s Greens will argue that Mr. Trudeau’s continued (if to Conservative eyes tepid) commitment to oil sands development undermines other emissions-fighting efforts. And they will argue those efforts don’t go far enough, likely calling for more regulations and greater investment in clean technology. The Liberals hope that if anything, such messaging will leave them looking like the responsible middle option. But if it gets traction, it could take away the policy’s political upside. WHAT IMPACT WILL THIRD PARTIES HAVE? 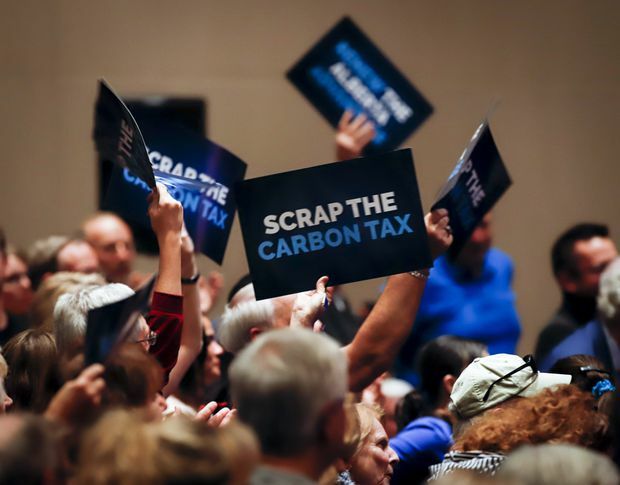 Supporters wave signs during an anti-carbon tax rally in Calgary. Look for some of the most visceral anti-carbon tax messaging to come from the conservative Ontario Proud, which did huge traffic on Facebook in last year’s provincial election, and is now going national. 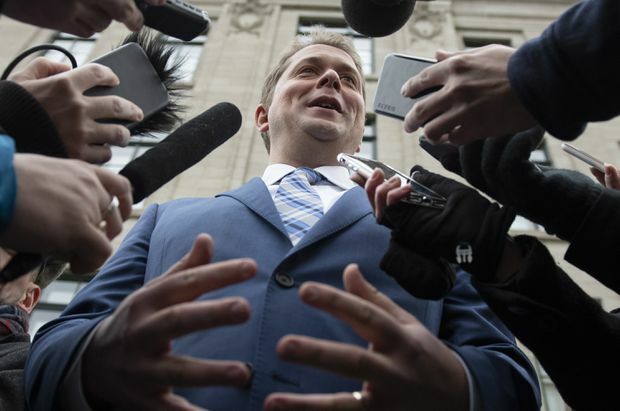 Liberal-aligned groups may respond by painting Mr. Scheer as a threat to the planet’s future. They could respectively have financial backing from corners of the resource sector and from environmental groups, or those interests could go it alone with their own third-party ads. Whatever impact such efforts have, it’s likely to be strongest in the first half of 2019, before pre-election third-party spending limits kick in, and when the window to shape opinion on the new policy may be widest. HOW WILL THE COURTROOM DRAMAS PLAY OUT? 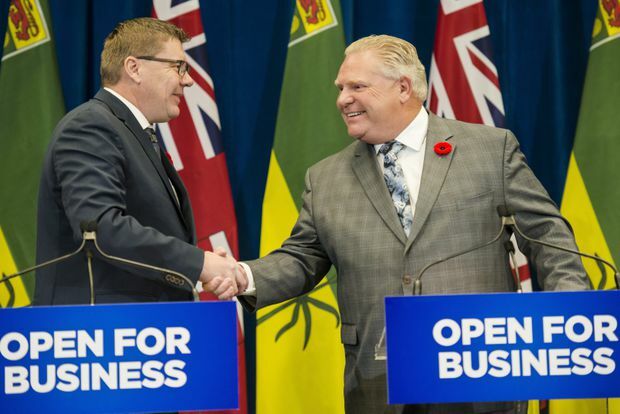 Saskatchewan Premier Scott Moe shakes hands with Doug Ford at a joint press confererence at Queen's Park. In February, Saskatchewan’s Court of Appeal will start hearing arguments in a constitutional challenge of the carbon tax brought forward by that province’s government. In April, a similar case courtesy of Mr. Ford’s government will begin in Ontario. Neither verdict is likely to be the final judicial word on the matter, given the prospect of appeals. But if the cases move swiftly enough for pre-election rulings, they will bolster or significantly weaken Mr. Trudeau’s argument. And even if they’re slower, the proceedings – including interventions on both sides from other provinces’ governments – could help frame the debate. WHERE WILL GAS PRICES BE AT? A gas pump is shown at a station in Montreal. 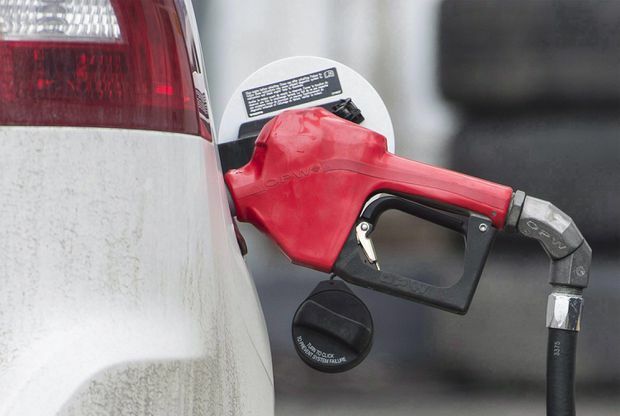 If gas prices remain as low as currently, drivers may not be aggrieved by the carbon tax adding a projected 4.42 cents a litre. But if unrelated market fluctuations cause prices to rise more sharply, there could be more outrage at the pumps. Theoretically, the government should want that kind of reaction: Carbon pricing’s purpose is to incentivize decisions, such as taking public transit rather than driving, that lower emissions. In practice, the Liberals would likely prefer the tax’s perceived impact initially be mild, with it gaining acceptance as Canadians realize the rebate balances it out, before the tax rate (and rebates) are increased – as opposed to it immediately receiving outsized blame for the cost-of-living squeeze. WHAT KIND OF SUMMER WILL IT BE? Kits Beach, Vancouver. This summer's weather may affect how Canadians process the climate-change debate. No, weather in one part of the world in a single season is not a responsible lens through which to view climate change happening globally over decades. But it’s human nature to feel urgency about things in plain sight. If next summer is like the last, with rampant wildfires and other disasters amid blazing-hot temperatures, the planet’s future may be more on voters’ minds than if it has been mild. Rightly or not, that will combine with the many variables over which politicians have more control, to help determine Canadians' mindset about carbon pricing when they send a message to the rest of the world in the fall.